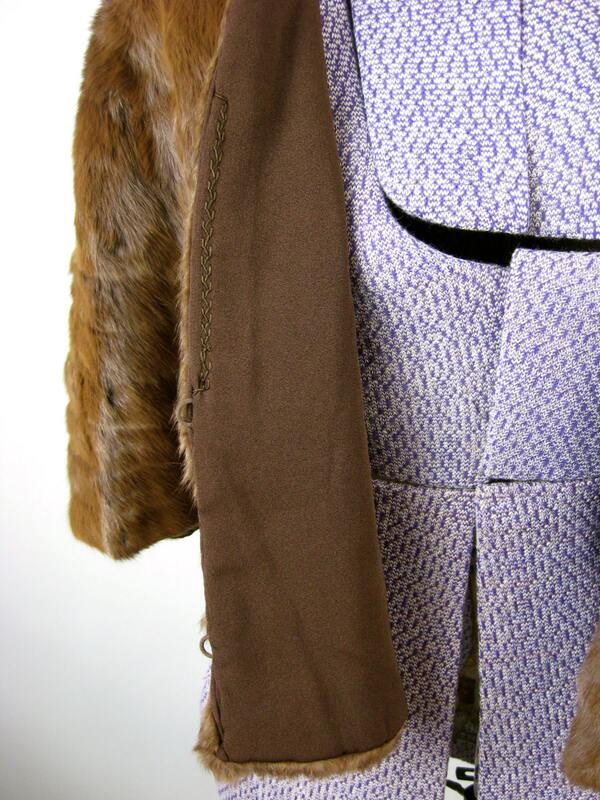 Exquisite brown ermine capelet circa 1940s is in absolutely excellent vintage condition. 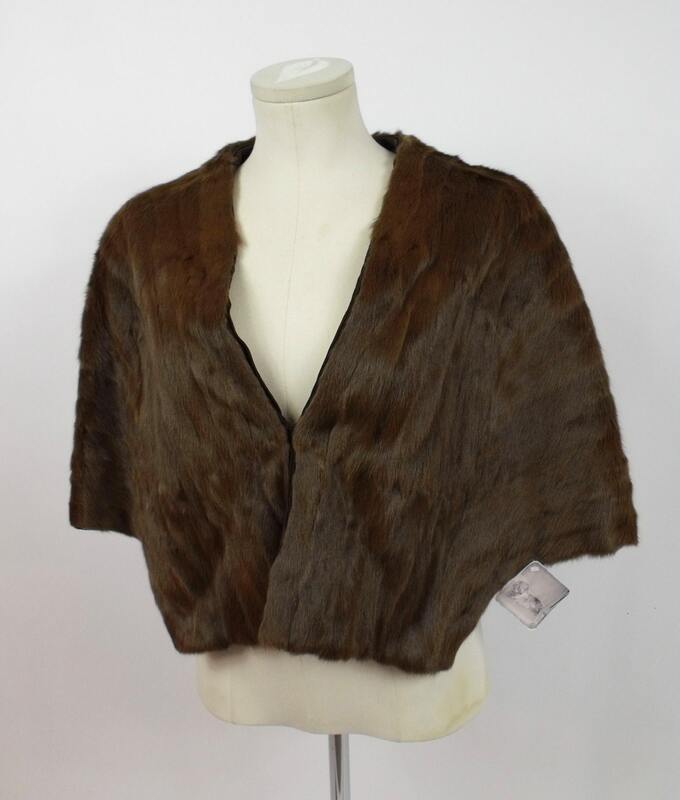 This stunning piece has been stored with impeccable care. 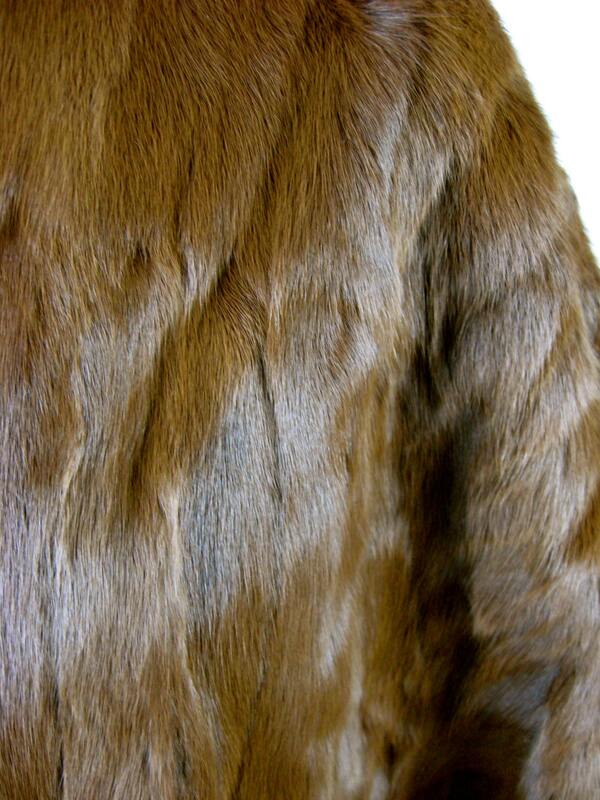 The fur is so soft and the skins are in perfect shape. This piece has been cleaned and is ready to wear. 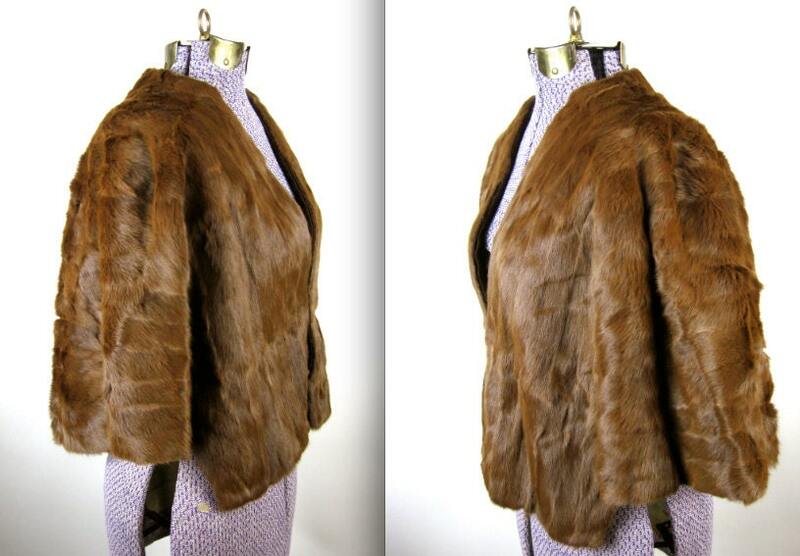 Details include a beautiful chocolate brown crepe lining, small slit interior pocket and two keska hook front closures. Label reads "W. Cohen ~ Winnipeg". 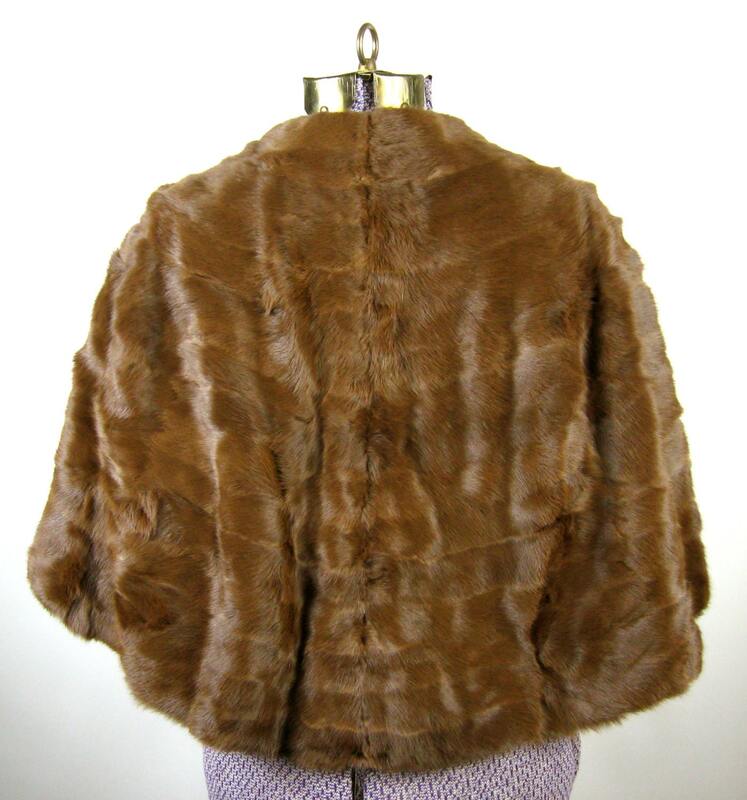 All measurements are taken with fur laying flat. This piece would fit anywhere up to an American size 12.